The Republican-proposed bill would update an existing 1924 requirement to teach the course, which the University of South Carolina has hitherto ignored. The legislation has already passed in the Senate, but Democrats in a Tuesday House subcommittee hearing argued the update would be too burdensome on students both financially and academically. 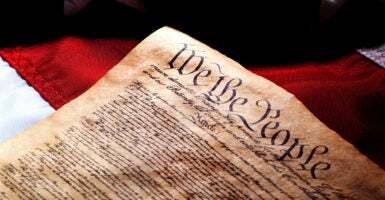 The bill would require students to take a three-credit, semester-long class covering America’s founding documents, including the Constitution, the Declaration of Independence, and the Federalist Papers. Democratic South Carolina state Reps. Ivory Thigpen and Wendy Brawley argued the cost of the course, which Thigpen referred to as “Constitution 101,” may be transferred onto students. They also pointed to a representative from the university who argued against the bill’s requirement that students pass a comprehensive exam covering the course material to graduate. “I would argue that if you can’t pass a comprehensive exam on the Constitution and the Bill of Rights, then maybe you shouldn’t graduate,” Smith said. The updated legislation appears to address each of Pastides’ concerns, putting the university in a difficult situation should it again insist on not requiring the class. Anders Hagstrom is a reporter for The Daily Caller News Foundation.